Shop from a range of bed pans, commode pans and slipper pans depending on your needs. The slipper bed pans are ideal for users that are lying down as they can be easily positioned into place. 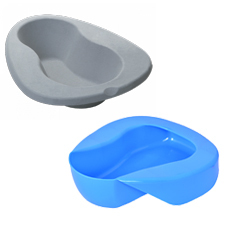 Disposable commode pans are available which can be changed quickly for convenience and are hygienic.